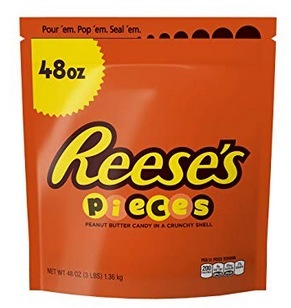 Reese’s Pieces Candies, 48 oz only $7.45 shipped! Calling all Reese’s lovers! Stock up on your favorite Reese’s Pieces Candies! Amazon has these Reese’s Pieces Candies, 48 oz for only $7.45 shipped when you clip the 20% off e-coupon and checkout through Subscribe & Save! « Amazon Brand Solimo Multipurpose Drawstring Trash Bags, 50 count only $5.72 shipped!